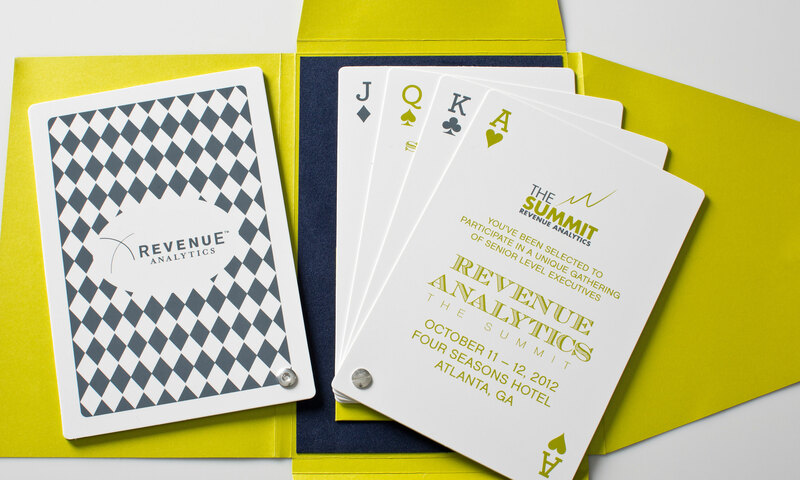 A stack of plastic playing cards created a unique invitation to a corporate financial summit that featured a champion poker player as the keynote speaker. The set was bound together by a screw post and mailed in a custom made folder with a fuzzy backer reminiscent of a real card table. The ‘by invitation only’ event is for top business leader across the country.